Platinum SBc20 Mallet (P1303) - Putters - SHOP NOW! The Platinum SBc20 is SeeMore's largest mallet, but with a super-sleek 3 way flow the putter has a visual appeal that is truly stunning. 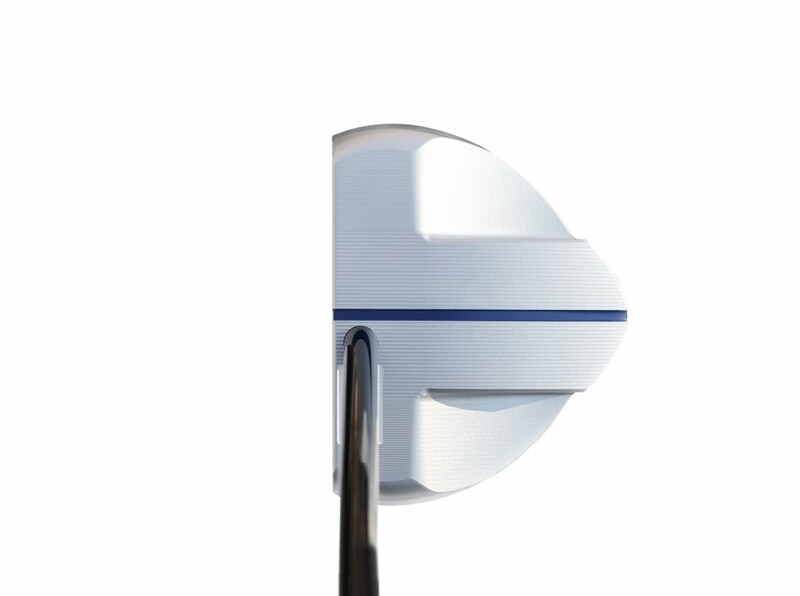 One of 3 options of the SB20 family, The SBc20 is the pure center shaft version. The SBc20 combines visual confidence at address and stability through the stroke and at impact with a putter that has a very high MOI(forgiveness) with the expanded sweet spot and 2 turbo steel weights in the back flange. The SBc20 also allows post purchase weight customization as the steel turbo weights may be replaced with aluminum, copper, or tungsten. The SBc20 has a beautiful Platinum finish with intricate multiple milling patterns over the entire putter, including a deep milled face for exceptional Feel and Roll. Features the new "Sniper Scope" logo, representing the ultimate in Performance, Precision, and Exclusivity that the new Platinum Series has to offer. Striking design with lasting beauty. Straight center shaft. 5 Degrees of Toe Hang. 100% Milled in the USA of USA made 6061 Aircraft grade aluminum. Alignment benefits of RifleScope Technology (RST). The Platinum SBc20 is SeeMore's largest mallet, but with a super-sleek 3 way flow the putter has a visual appeal that is truly stunning. 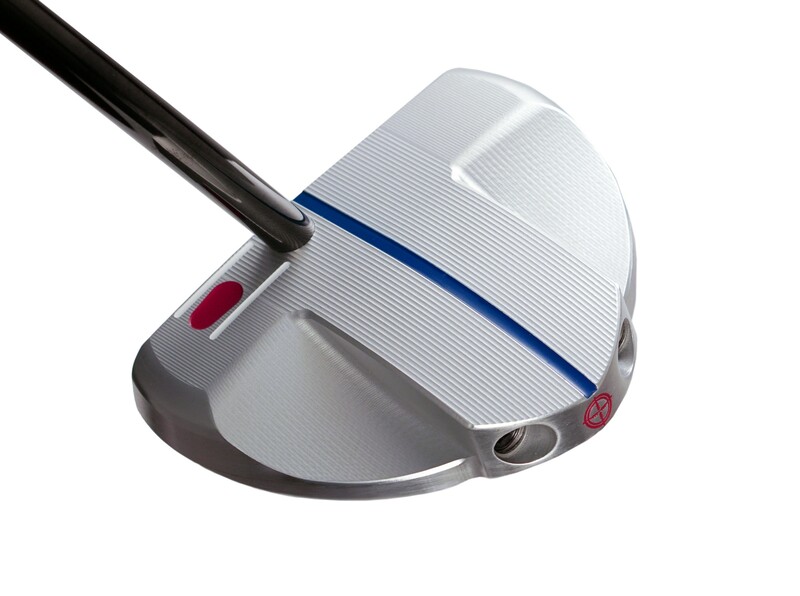 One of 3 options of the SB20 family, The SBc20 is the pure center shaft version. The SBc20 combines visual confidence at address and stability through the stroke and at impact with a putter that has a very high MOI(forgiveness) with the expanded sweet spot and 2 turbo steel weights in the back flange. The SBc20 also allows post purchase weight customization as the steel turbo weights may be replaced with aluminum, copper, or tungsten. The SBc20 has a beautiful Platinum finish with intricate multiple milling patterns over the entire putter, including a deep milled face for exceptional Feel and Roll. Features the new "Sniper Scope" logo, representing the ultimate in Performance, Precision, and Exclusivity that the new Platinum Series has to offer. Striking design with lasting beauty. Straight center shaft. 5 Degrees of Toe Hang. 100% Milled in the USA of USA made 6061 Aircraft grade aluminum. Alignment benefits of RifleScope Technology (RST). All SeeMore Putter Models Have SeeMore's Patented RifleScope Technology (RST) Alignment System, For A True Reference Point For Perfect Alignment And Set Up On Every Putt. SeeMore was the winning putter brand of the 2015 OPEN Championship at St. Andrews (Zach Johnson), in one of the greatest clutch putting performances in OPEN History. SeeMore putters have won 3 MAJOR Championships, also including the 2007 Masters (Zach Johnson) and the 1999 US Open (Payne Stewart). A pleasure to use this putter. Best putting "tool" I have used...highly recommend trying it!